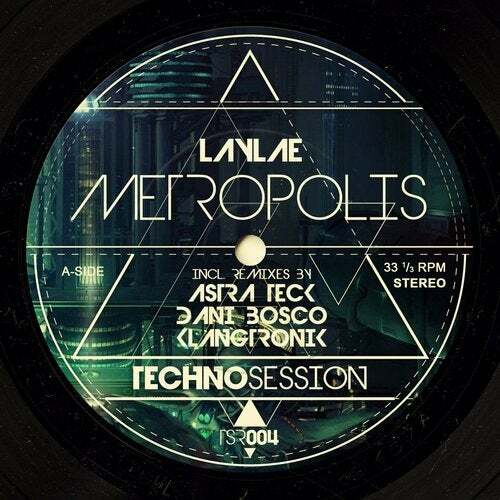 Technosession Records is proud to present TSR004: a real underground ep containing the most futurstic sounds of the season, signed by one of the most open-mindend artists of the moment: Laylae, with remixes by top techno producers as Astra Teck, Dani Bosco and Klangtronik. This EP goes from techno-minimal to industrial techno, each track is perfect for a different situation, including the best underground parties in Ibiza where the crowd already loved it! Known as a party rocker, Laylae is a tireless promoter of electronic music scene who brought bass sounds to various underground parties. Her captivating sound spans the ears and blends genres of body-rockin' music; she seamlessly segue from baseline techno, spin smooth minimal along with timeless soul heroines and heroes and groove the dance floor with soulful deep tech. Apart from local events you can find her performing in underground clubs in Berlin, Paris, Prague to Exit Festival, holding down residencies in clubs and radios as part of Beatz Kru as well as managing start-up project. Releases on labels like Techno Sessions, 13z Rec, Coalition, Electrico, Groove Division, Incense, Kubic, Messerheld, Noise Planet, Perception Corp, Robotic, Tainted Buddah, Tainted Hefestos, Tainted Tanit, Trackord.Radio residencies: Cuebase-fm.de, techheadradio.com, 6amibiza.com, beatz.si.